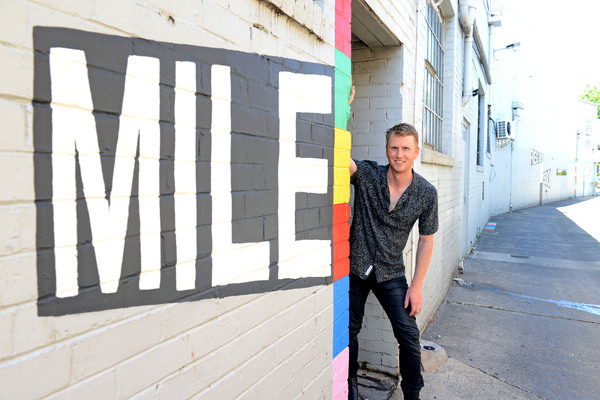 Artist Brett Ashby has brightened a grey Dandenong laneway as part of the Transformed temporary public art program. 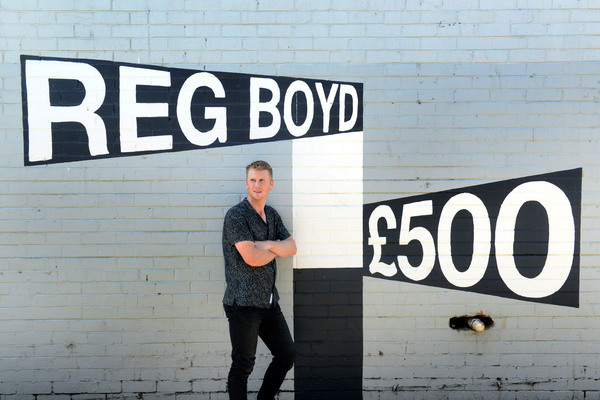 Boyd Lane’s bare walls were brought to life with deftly-painted keywords and coloured blocks on its walls, doorways and pavement. It enlivens a thoroughfare for more than 1000 pedestrians a day between Palm Plaza and Lonsdale Street. “There’s a lot of development, a lot of growth and a lot of multiculturalism – it’s something I’m interested in,” Ashby says. 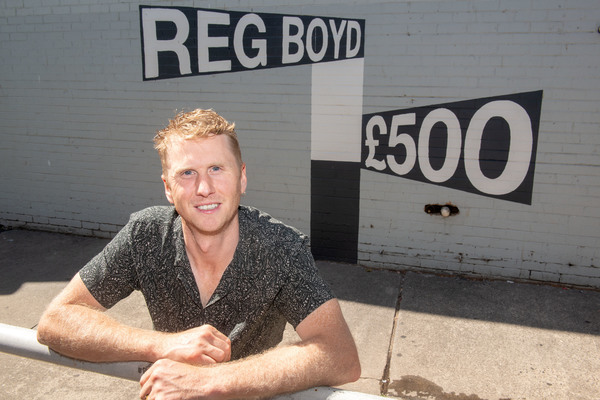 He took inspiration from the area’s rich commercial history, including the Boyd family who owned Gippsland Hardware Company next to the lane. 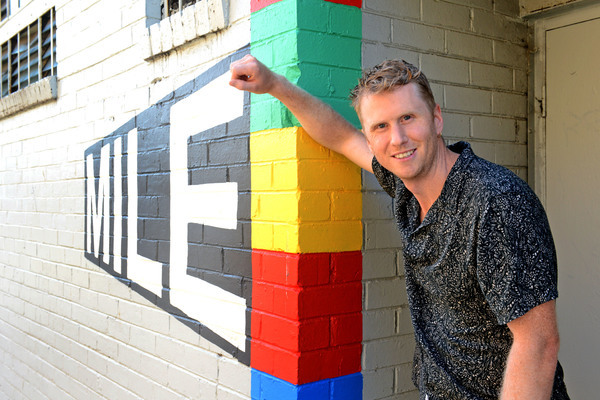 The mural includes the ‘Golden Mile’ slogan, harking back to Lonsdale Street’s boom days. 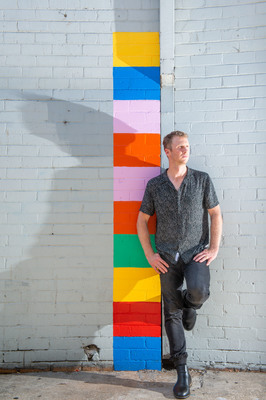 Its technicolour palette also reflects Ashby’s well-received public artwork Cube Lane – which decorates a disused substation on Mason Street. The challenge was to enrich a 60-metre laneway that had been blighted by graffiti and rubbish. Ashby had a limited budget to celebrate the surrounding olden architecture. So he split his mural up into eight separate elements that stretch the alley’s length. Ashby works and lives in Melbourne and London. His previous works include Autumn Place, Doveton, Casey Fields rugby pavilion in Cranbourne East and Mornington. As well as an international art career, he also played defender for Dandenong Thunder Soccer Club firsts. The Transformed program aims to add colour and vibrancy to Greater Dandenong’s public spaces, and make them more welcoming.